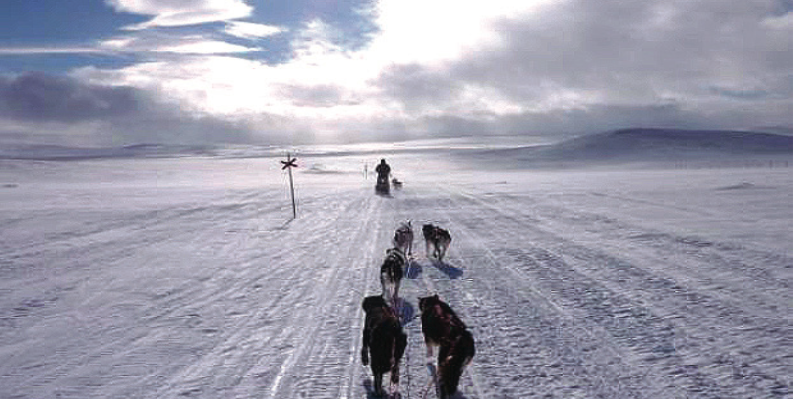 On 14th April 2011, Family Business Place’s very own Amalia Brightley-Hodges will be embarking on a completely crazy and utterly barmy 300km expedition across the Arctic with a group of other young entrepreneurs from family businesses! All in aid of Greenwich and Bexley Community Hospice, hoping to raise £8,000 for this amazing cause. And why on earth is she doing such an incredibly stupid thing? “Firstly, it’s about doing something with other next gen who have grown up in the family business and want to use their own entrepreneurial spirit to get ahead in life. With renowned family business adviser, Sandy Loder, we will be exploring entrepreneurship and leadership and learning skills to help us become a success as the next generation of business leaders. It’s also going to make a fab feature for the next issue of Generation! Amalia will also be keeping a diary of the expedition along with her fellow family business trekkers which will feature in the Spring/Summer issue of Generation magazine, and will also include a thanks to all of her donors. Amalia and the team at FBP would appreciate any contribution you can make, whether it’s £100, £200 or £500 – please dig very, very deep and donate to this amazing cause. Hopefully together we can make it to Amalia’s target for this great cause! This entry was posted in Events, Latest News, Next Generation. Bookmark the permalink.